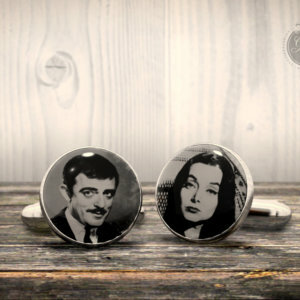 A perfect creepy cuff links inspired by the famous TV series. 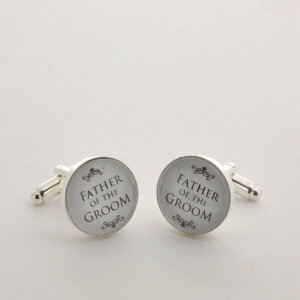 Father of the Groom hand made Glass cabochon man cufflinks. 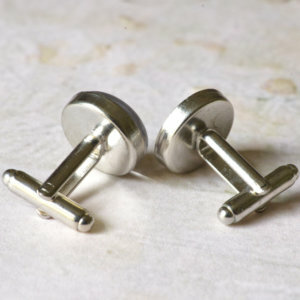 Our cufflinks are fully and proudly hand made in Italy. 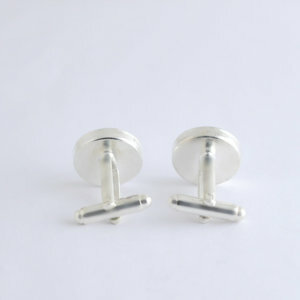 VESPA Fashion cufflinks – Design icon cuff links – Perfect made in Italy accessory for a chic man. 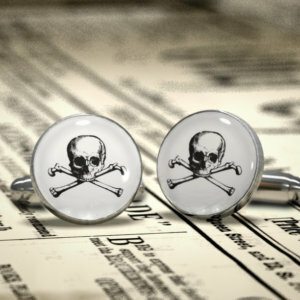 Glass cabochon man cufflinks with VESPA scooter black logo. 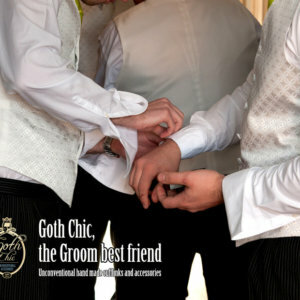 Ideal for trendy “after hours” party. 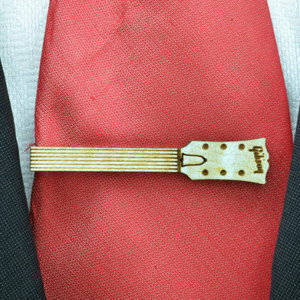 Perfect accessory for a chic man. 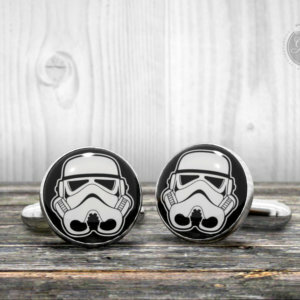 Star Wars STORMTROOPER helmet hand made mens cufflinks. The box is included in the price and makes it a great idea for a gift. 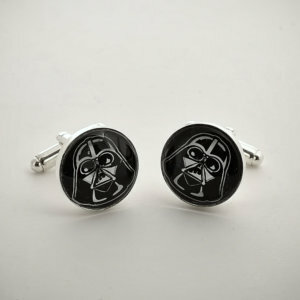 Star Wars DARTH VADER helmet hand made mens cufflinks. 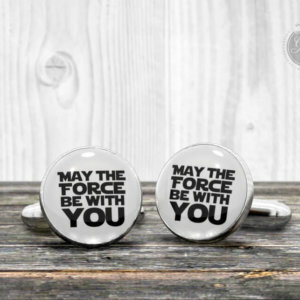 Captain KIRK certainly would wear these cufflinks to his wedding! 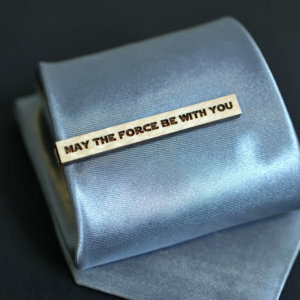 Cufflinks with most famous quote from Star Wars saga; “May the FORCE be with you” … when you wear these cuff links! 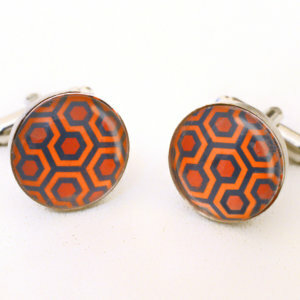 The Shining – Tricycle baby carpet cufflinks. 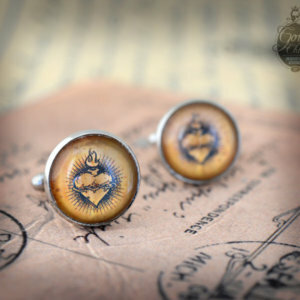 Vintage style flamed heart ex voto cufflinks. 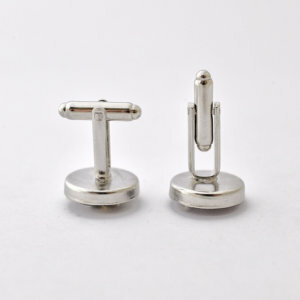 Our cufflinks are fully and proudly hand assembled in Italy. 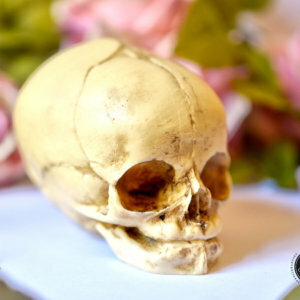 We are sure that you want to forgive them some small flaw, unmistakable sign of their uniqueness. 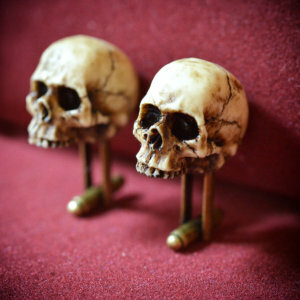 Glass cabochon man cufflinks with VESPA scooter black silhouette. 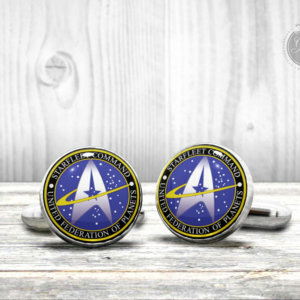 Freemasonry yellow and blue log logo cufflinks. 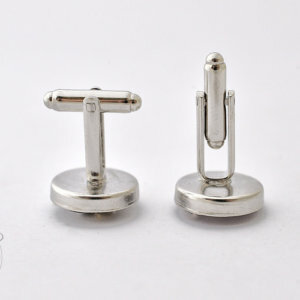 Dress in style with these novelty FREEMASONRY LOGO cufflinks. 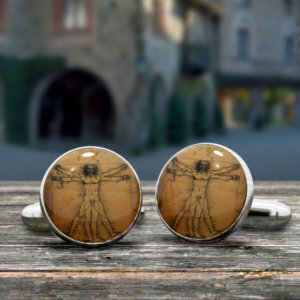 This pair of cufflinks is proudly handmade in Italy using a glass cabochon and brass bright metal settings. 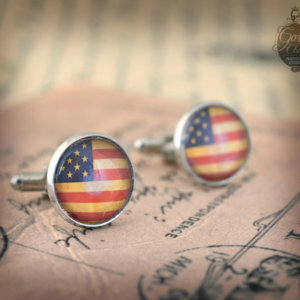 Vintage style USA Flag cufflinks. 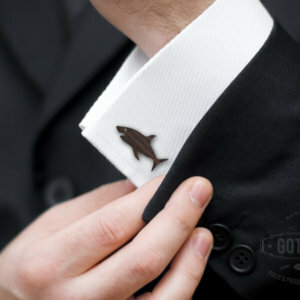 The design is very aged and gives to the cufflinks an incredible vintage charm. 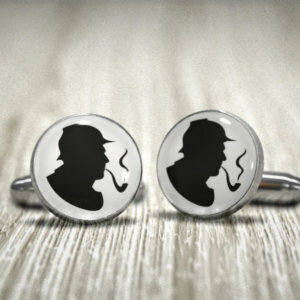 You can wear them with a very elegant suit or with a less formal clothing too … for example? 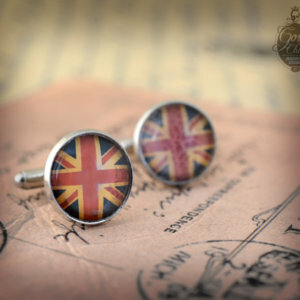 Vintage style Union Jack UK Flag cufflinks. 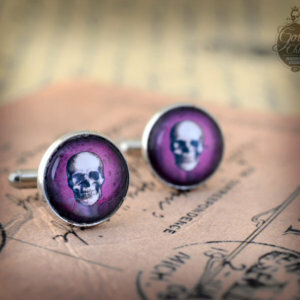 Vintage style purple skull cufflinks. 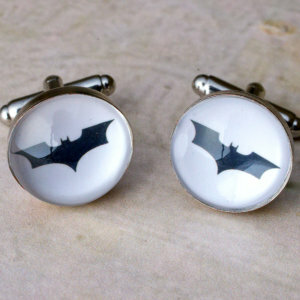 DC Comics BATMAN logo cufflinks. 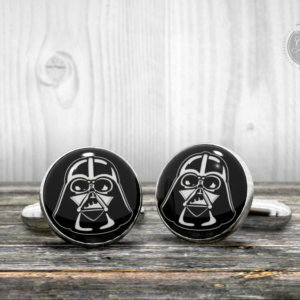 Dress in style with these novelty BATMAN LOGO cufflinks. 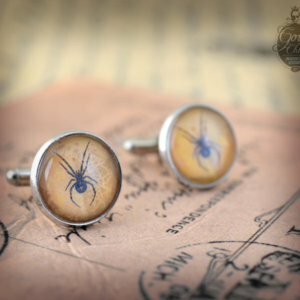 This pair of cufflinks is handmade using a glass cabochon and brass bright metal settings. 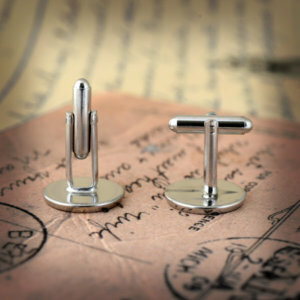 Our cufflinks are fully and proudly hand assembled in Italy. 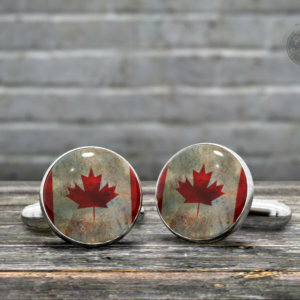 Vintage Flag of Canada hand made mens cufflinks.